I can't remember who the legs belong to. 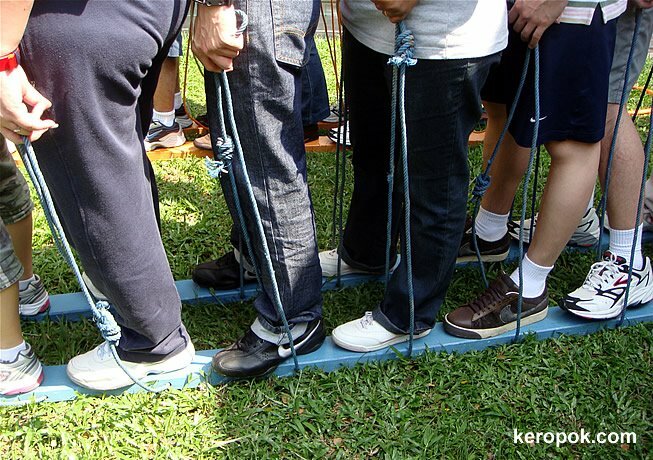 But have you played team building games like this? You have a plank and 8 people get on it, and try to move forward together. I'm glad that they don't make us do stuff like that at my work, I'd hate it.